Click one of the 4 columns to move the current card into play... cards must total 21 without going over 21. Discard by clicking the discard button. How far can you make it up the Corporate Ladder... WITH your integrity intact? Corporate Bloodbath is the ultimate showdown between the cubicle gladiators of today's office environment. You only need a browser, the latest Flash player, and a sense of outrage at what the workplace has become to pl.. Experience the excitement of Las Vegas Stud Poker from the comfort of your home! This five card poker game, similar to Mississippi Stud, delivers table game realism without risking your money. 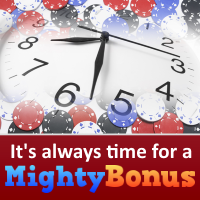 Take on the casino as you ante up to see your first two cards and continue to bet to reveal the remaining t..